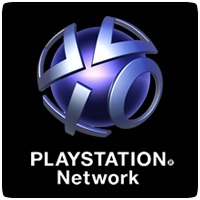 If you are not a PlayStation Plus subscriber, you’ll be happy to know that Sony will be hosting a free multiplayer weekend this week, allowing you to play online multiplayer games without a subscription. The PlayStation Plus open weekend will take place between 8.00am BST/9.00am CET Friday 26th September and 9.00am BST/10.00am CET Monday 29th September. The open weekend will give you the opportunity to take on your friends and fellow gamers for a weekend of intense PS4 online multiplayer for free. After the weekend is over, you’ll need to sign-up to PlayStation Plus to continue playing online. You’ll be able to enjoy games like Destiny, Diablo 3, The Last of Us, Watch_Dogs, FIFA, and many more, without the need for a PlayStation Plus subscription. Better make sure your weekend is free to enjoy this opportunity.